Whenever a rehearsal period ends and it's finally time for our show to open, I like to make little presents for all the girls to celebrate our opening day. I made friendship bracelets when we opened this same show last summer, and this summer I decided to knit hair bows. 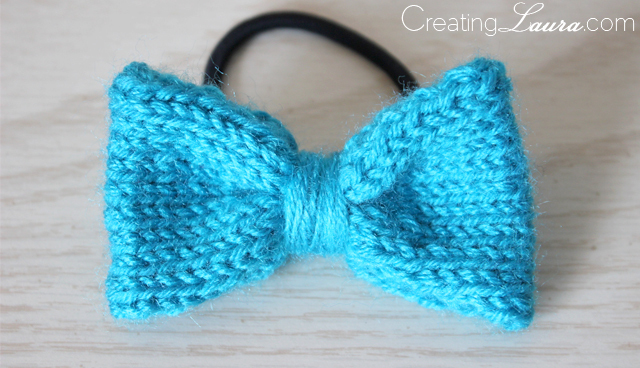 This is a great project if you're working on shrinking your yarn stash like I am, because each bow only uses a small fraction of a skein of yarn. 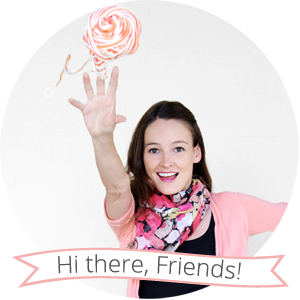 You can probably make several of these little guys without buying a single thing. I made 10! Notice the black loops behind the bows? Those are hair ties that are built right in for ease of use. Repeat these two rows for 6.5 inches. 1. Weave in the ends. 2. Place the knitting on a table right-side down (aka purl side up). 3. Fold the cast on and the cast off edges toward each other so they touch, as shown in the picture on the right. 4. Seam the two edges together so the fabric becomes a loop. 5. Wrap a piece of yarn around the middle of the loop so that it looks like a bow; then secure that piece of yarn with a knot. 6. Now hold a hair band against the back of the bow and wrap another piece of yarn around both the middle of the bow and one side of the hair band. Secure the yarn with a knot. 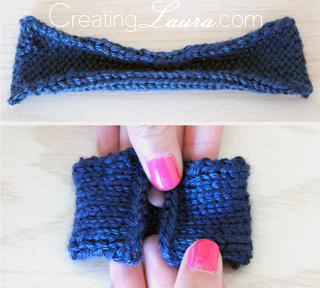 You should now have a finished bow attached to a hair band! 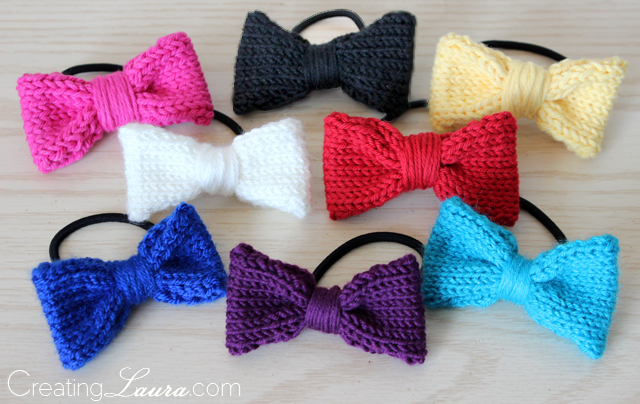 I had a great time knitting these bows, and I think they were a big hit with the girls. I used all different types of yarn to make these, and the bows made of superwash wool were definitely the easiest to knit, but the cotton bows felt the sturdiest as finished products. 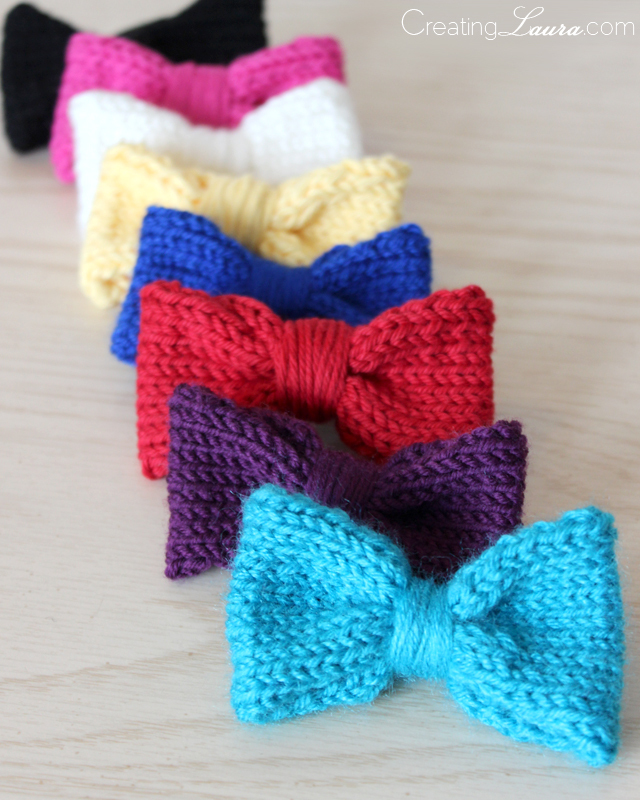 Can you tell which bows were made with which type of yarn? No matter which yarn I was using, I had a great time creating this pattern and knitting these little guys, and I hope you have fun with them too. These are so sweet! I haven't gotten around to learning to knit yet, but I do crochet so I might try out making a crocheted version! 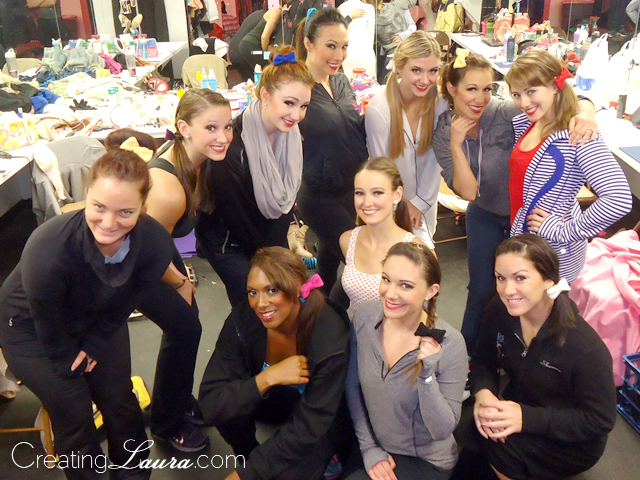 thank you so much Laura!!! they are really cute!!!! 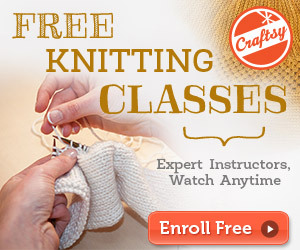 These are so sweet - I'm really wanting to learn how to knit, this looks like the perfect starter project for me! digging these bows! i want to learn to knit this fall/winter and am pinning away as a project to tackle! Such a cute little craft. I have not thought to add a hair tie to the bows. I have been looking up information on how to make a bow and the only thing I have come up with are barrettes. I think this type of bow seems to be more reliable, along with the hair tie. Thanks so much for sharing this idea, I cannot wait to try it out! I've been knitting for 5 years, and I'm almost 13. I love making these! They're sooooo cute and easy. I gave a few to my sister for Christmas, and she LOVED them! Thanks soooooooo mush for the pattern! I LOVE this pattern! I have made 4 of them since yesterday afternoon...that's how easy they are! I tried attaching one to a regular size hair tie, one to a baby sized hair tie (for my niece), one to a bobby pin, and one to a barrette. Thanks so much! I'm loving these to embellish all kinds of things, most recently my girl Minion hats! I am wondering the same thing as above…what does it mean to seam the fabric? Do you use the darning needle? Thank you! I have to wear ties with my uniform at work...I'm always making bow ties with duct tape but this would look more classy.. they are awesome! I have to wear ties for my job as a server at a elderly care center. I've made bow ties our to duct tape but these would look more classy! And they are easier than using the tape! I found Christmas presents for my nieces and little gifts for the girls in my Girl Scout Troop! They look so cute!